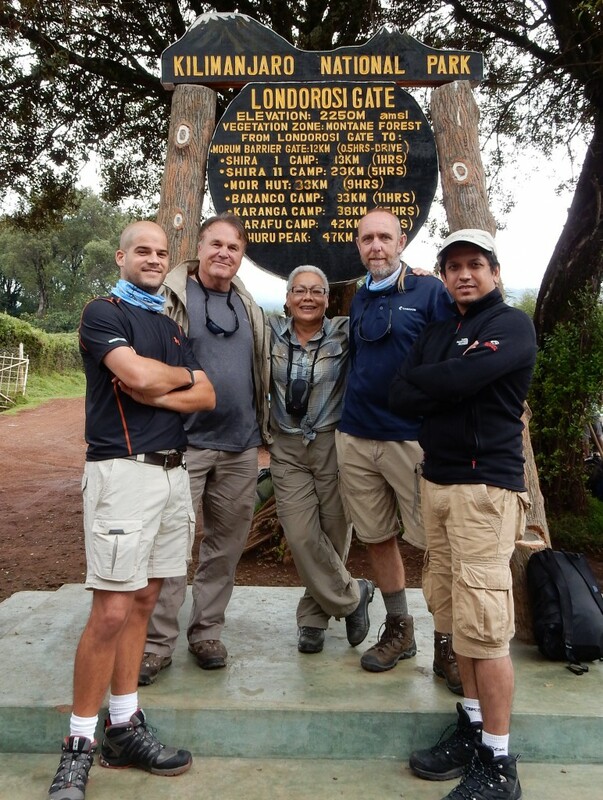 Guest post from Genny Plank, who climbed Kilimanjaro with Tusker in October 2014. The hike up Africa’s big mountain is largely, if not entirely, dependent on the trekking outfitter/operator one climbs with. This past October, on the recommendation of others who had summitted and whose advice I sought out and trusted, I climbed Mt. 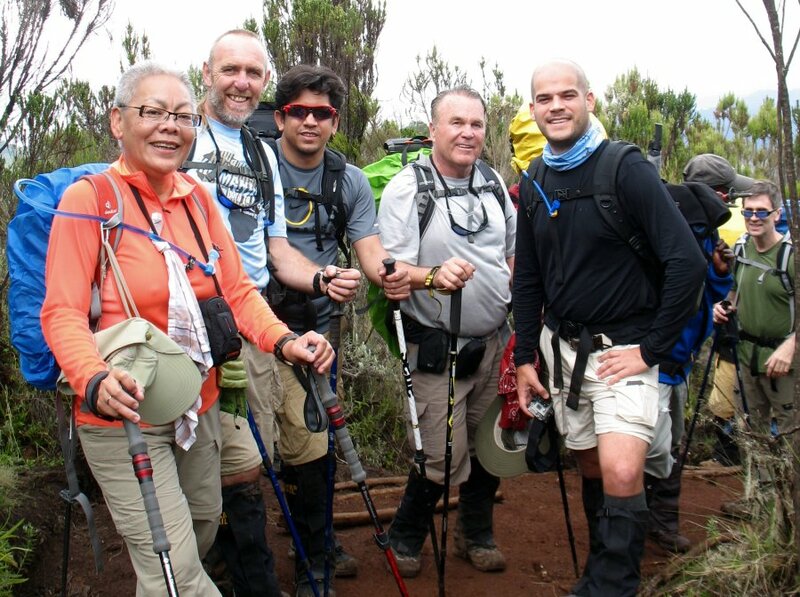 Kilimanjaro with Tusker Trail. From start to finish the guidance, care, attention, logistical support, and warmth afforded me was exceptional and did not disappoint one bit. The hot soups we topped up with “pili pili” each night, the pulse oximeter tests we had to do daily, the gentle “jambo” greeting outside your tent as one was woken up each morning, the hearty meals prepared given kitchen limitations, the strength and hardiness of our porters, and the patience, flexibility, hand holding and equanimity of our guides as challenges were thrown their way – were wonders to behold! Moreover, being salt-and pepper topped, I was endearingly referred to on the trails as “Mama” and extended such warm decorum. While the Kilimanjaro climb is not a technical one per se, it nevertheless is arduous and taxes one’s body, spirit and mind. 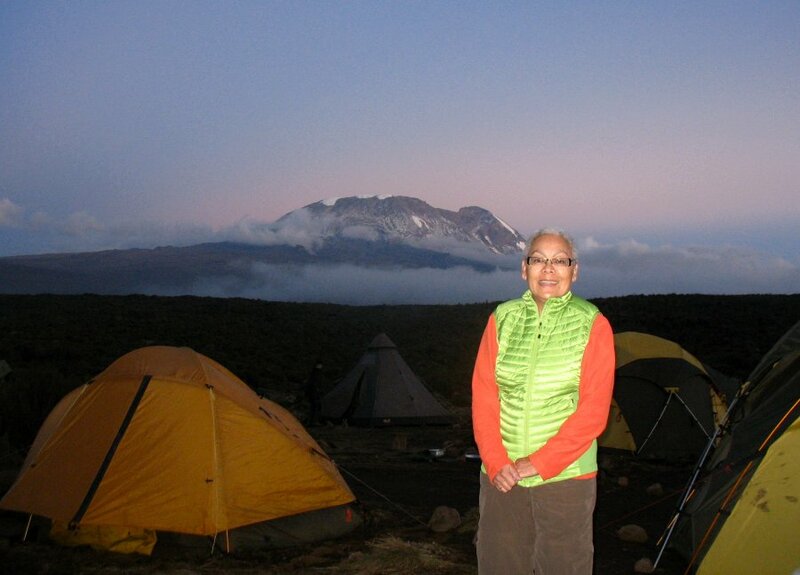 For me, getting to Barafu Camp, the last camp before one reaches the summit, was a real challenge. Every two to three hundred paces, I just had to stop to catch my breath. So much so that once settled in camp I was taken aside and given the pulse oximeter test. Based on readings that crossed safety thresholds I was advised not to attempt to summit the next day. Frances, our Chief Guide said Tusker’s Policy is: “Safety First, Summit Second”. Mentally and in spirit, I was still up to climbing to Uhuru Peak, Mt. Kili’s summit. However, I was not going to question the advice given to me. Tusker guides know and understand this mountain and what it holds for all kinds of hikers. To Tusker’s credit, I was heartened and grateful that Frances with temerity and kindness advised me to end my climb at Barafu Camp. I rested and waited for my group to descend from the summit the next day. Again, with safety in mind, Tusker asked Shabane, a guide of another group that stayed at Crater Camp the night before, to come to our camp and lead us down to a lower altitude camp where it would be warmer and breathing would be easier. Shabane treated us with the same friendliness, solicitude and grace shown to us by our crew. Only the Kilimanjaro National Park can award the Mt. Kilimajaro Summit Certificate. Not having made it to Uhuru Peak I would not receive such a certificate. 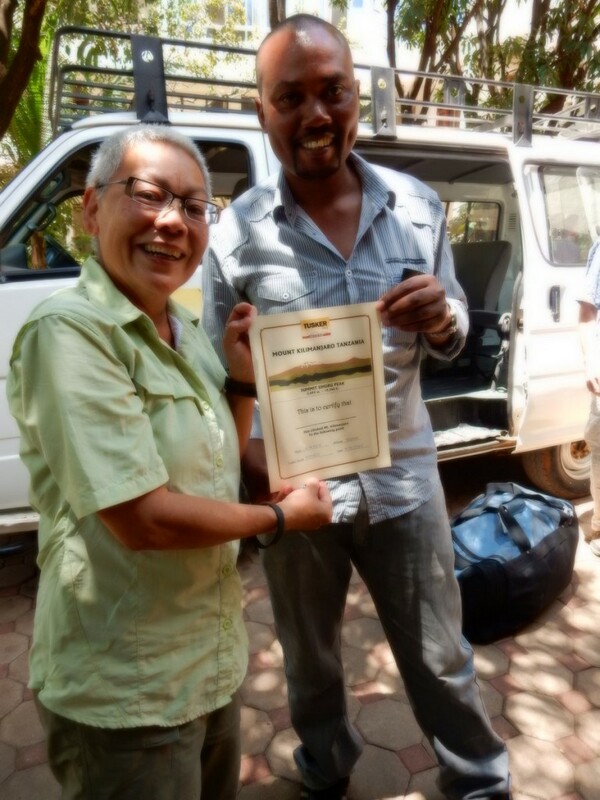 However, a day after we returned to Moshi, to my surprise and amazement, Tusker in its wonderful wisdom, saw it fit to hand me a Certificate, duly signed by Kombe, our assistant guide, that attested to my reaching Barafu Camp, altitude 15,000 feet! What a lovely and heartwarming touch. They didn’t have to do it, but they did! That gesture was priceless. I doff my hiking hat to Tusker Trail. Have a great story from your climb? Share it with us in the comments!